Pronomic MCM-100SB Instrumental Microphone SET for Wind Instruments, Cajon, Etc. 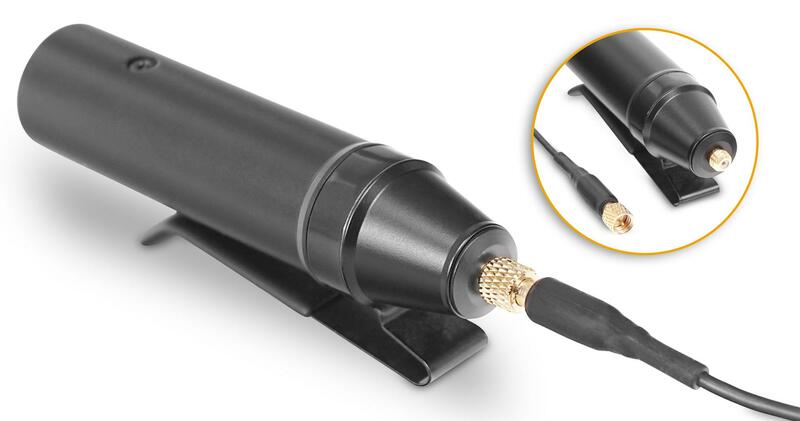 Miniature instrumental microphone SET including holder for saxophone, brass instruments, cajon, etc. Pronomic MCM-100 Instrumental Microphone - there's a lot of microphone inside! 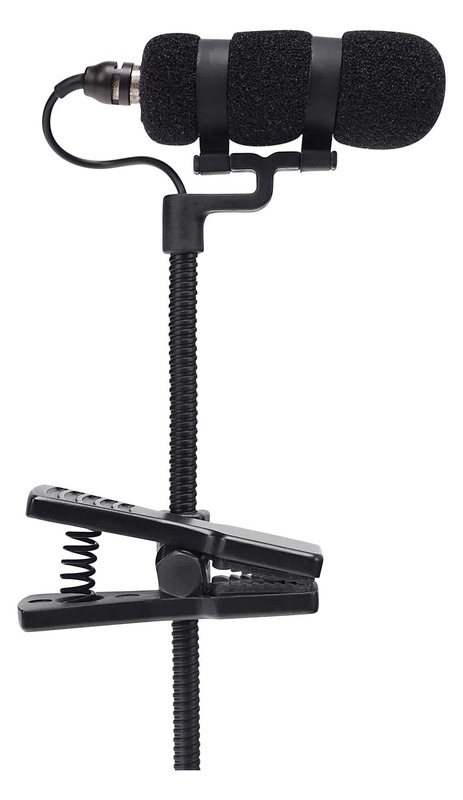 It does not matter what instrument you clamp the MCM-100 to – with its flexible 13.5 cm gooseneck, the microphone can be put in an optimal position. Thanks to the high-quality, vibration-neutral capsule, the MCM-100 captures the natural sound of your instrument without distorting it. The directional characteristics ensure that other sound sources are minimized, and a clean sound is produced. The XLR phantom power adapter is connected by a screw cap, preventing accidental disconnection. For the safe transport of the MCM-100, there is a system case included, protecting your microphone from dust, dirt and damage. The MCH-100S is easily installed on any bell. The powerful clamp with its soft, non-slip rubber pads attaches the holder to the bell without even leaving a scratch behind. 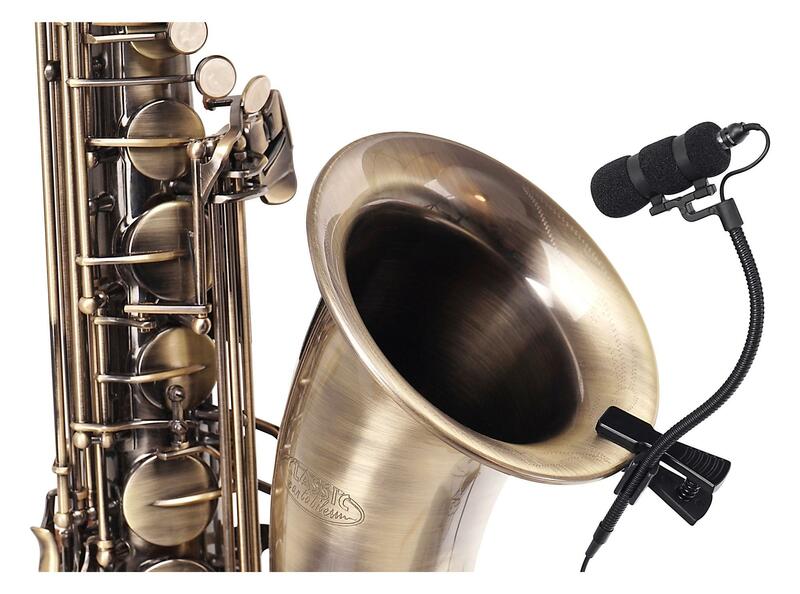 The Pronomic MCM-100S is suitable for (almost) all wind instruments - be it saxophones, trumpets, flugelhorns, baritones, horns, or other woodwind and brass instruments - the clamp works great! The clamp is very versatile, especially on a Cajon. This gives the Cajon player a whole new freedom of movement without changing the sound. 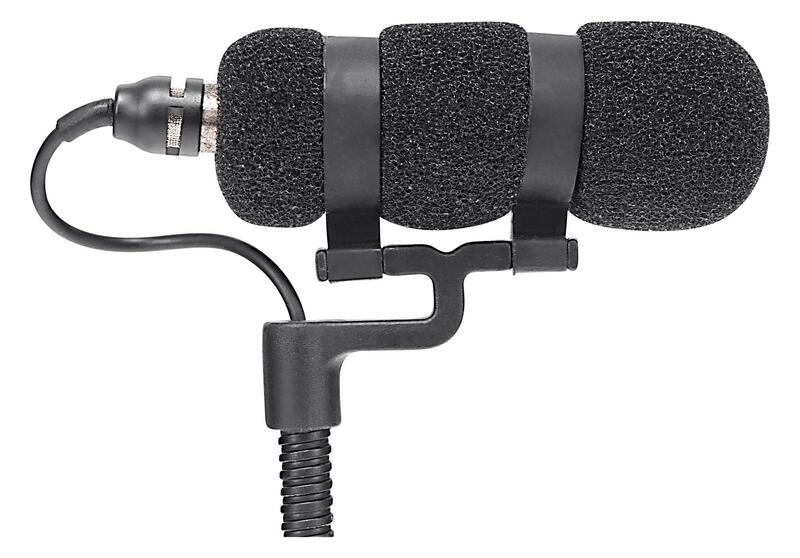 A clip microphone set with holder at an unbeatable price! 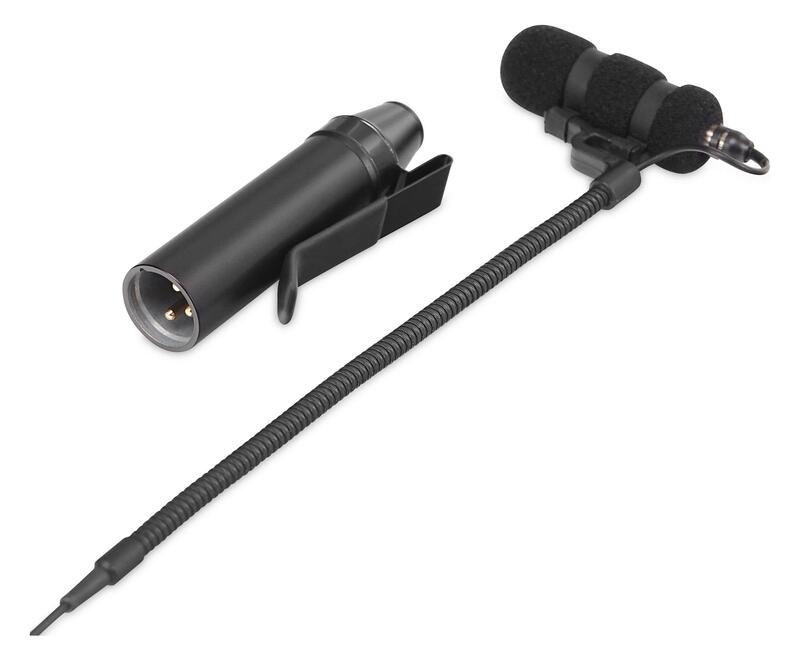 Your question about the article Pronomic MCM-100SB Instrumental Microphone SET for Wind Instruments, Cajon, Etc. 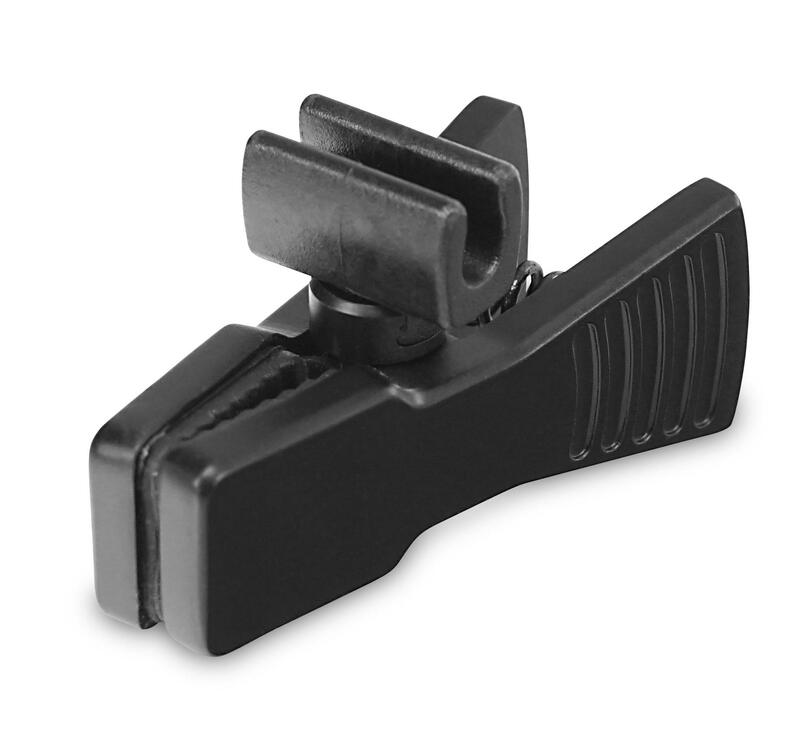 Pronomic MCH-100SB holder for MCM-100 clip microphone on wind instruments, Cajon, etc.